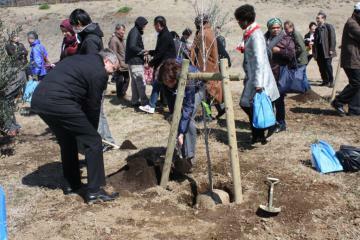 On the 21st of March, OISCA co-organized the “Green Earth Festival” along with the national Land Afforestation Promotion Organization, The Forest Culture Association, NPO Forests and Environment Network Association and Foresty Agency, Ministry of Agriculture, Forestry and Fisheries. With an objective to create, establish and strengthen the network among the 14 foreign dignitaries from the 13 countries where OISCA International operates led by Papua New Guinea Ambassador, H.E. 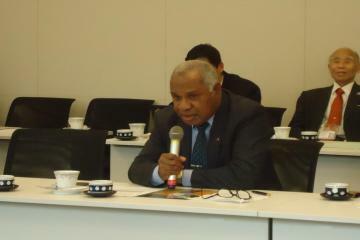 Mr. Gabriel J.K. Dusava CBE, OISCA organized the 40th Tokyo Forum on March 12 at the House of the Representatives in Tokyo, Japan. 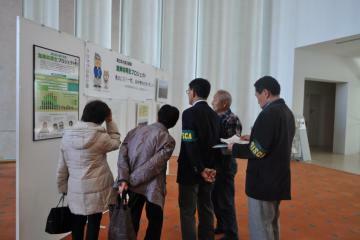 A symposium was organized in Natori City`s Performing Arts Center on February 22 to report the development of the Coastal Reforestation Project of OISCA in Natori among the 150 participants who are mostly the tsunami victims, including Mayor Isoo Sasaki as well as the company representatives who have been supporting the project. 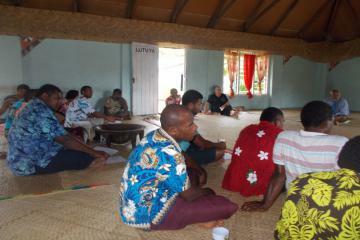 On January 15, 2014, OISCA-Fiji has conducted a “Safety Day” workshop in Navutulevu Village Community Hall as part of its Annual Safety Awareness Program. The workshop was attended by 49 participants which includes OICA-Fiji Staff, village coordinators from Western part of Viti Levu and the Village Head Man (locally known as Turaga ni Koro).